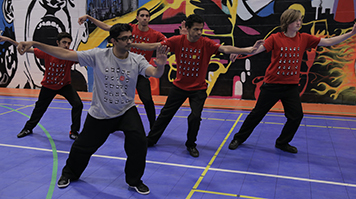 Researchers in LSBU's Faculty of Health and Social Care are now conducting a second phase study to find out whether Tai Chi can help people with Cystic Fibrosis. Cystic Fibrosis is a genetic long term, debilitating condition in which people can expect to be severely unwell for long periods. Core bodily functions such as breathing and digestion are extremely compromised, which makes exercise and even socialising problematic. The team has already conducted one of the first studies in the world to find out whether Tai Chi might be beneficial to help people stay well or to help when they are unwell. As the results were very promising, the Tracie Lawlor Trust for Cystic Fibrosis has commissioned a second, larger scale study to ascertain whether these results can be replicated. The study is being carried out in collaboration with the Royal Brompton Hospital and with the help of experienced teachers from Wu Shi Taiji Quan and Qi Gong association in London. Tai Chi is an ancient Chinese form of exercise which uses mindfulness, breathing techniques and choreographed movements to improve health and wellbeing. During the study participants from the Royal Brompton will either receive face to face Tai Chi sessions or remote internet-delivered Tai Chi. They will all receive a DVD and a booklet to help them practice Tai Chi at home, using youngsters from St Joseph's in Croydon (pictured) and from St Jude's in Southwark. It is hoped the findings of the study will show whether Tai Chi could be a useful add-on treatment for those with Cystic Fibrosis, and also what further research is needed. Find out more about courses in Health and Social Care.